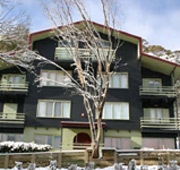 Ski Kaos manage and book a lot of snow accommodation (eg: Thredbo Apartments, Jindabyne Apartments). As well as getting you the best accommodation prices, we also offer you great discounts on ski/snowboard hire, clothing hire, lift passes & lessons, and even return bus travel. » For more about our Accommodation, click here. Ski Kaos is also the place to go for last minute accommodation. When it seems everywhere is fully-book we might have something pop up at the last minute. » For more about our Availability, click here. Why Book a Bus + Accommodation Package with Ski Kaos? The value for money is excellent. You book directly with us, there are no middlemen or commission-hungry travel agents involved. If you find any better deals around, we'd like to know - we'll probably even make you a better offer. Apart from being the best value for your money, Ski Kaos snow trips are the best fun and the best organised. Our trips cater mostly 18-35's, university students, and backpackers. However everyone is welcome to come along. We often have younger & older people on our trips, even familes. Our trips let you chose to ski or snowboard at: Thredbo, or Perisher-Blue. Buses depart from Sydney, Canberra, and various places en-route. Ski Kaos is now in its 29th year of running bus trips to the snow (Since 1989).